Can Alzheimer’s disease be prevented? The jury is still out on the subject, but recent new drug studies, clinical trials, diets, lifestyle changes, mental gymnastics, ultrasounds, vitamin therapies and specialized groups and communities are paving the way for Alzheimer’s prevention and treatment, as the search for a cure continues. The grim statistics from the Alzheimer’s Association reveal that one in three seniors dies with dementia. Alzheimer’s is the most common form of dementia, accounting for 60 to 80 percent of dementia cases—the general term for memory loss and deterioration of other intellectual capabilities that negatively impact daily life. By 2050, experts predict Alzheimer’s will cost the nation $1.2 trillion as the number of dementia patients increases. 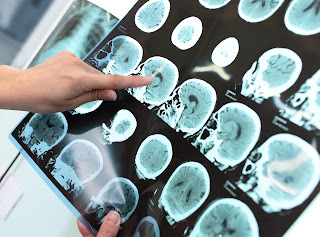 A new drug shows promise in halting the progression of Alzheimer’s in the brain. Researchers at Duke University found that something goes wrong with the immune cells that normally protect the brain, and the cells start to consume an important nutrient called arginine. Scientists found that the drug difluoromethylornithine (DFMO) blocked these immune cells from consuming arginine and prevented the brain plaques and memory loss associated with Alzheimer's. The tests were done with mice, so it’s not yet known if the drug will be successful in humans. "If indeed arginine consumption is so important to the disease process, maybe we could block it and reverse the disease," senior study author Carol Colton, a professor of neurology and a member of the Duke Institute for Brain Sciences, said in a Duke news release and reported by America Aljazeera. Currently, the drug is being tested on patients with different types of cancers but has not yet been tested for Alzheimer’s in humans. The study was published April 15 in the Journal of Neuroscience. A combination of the Mediterranean and DASH (Dietary Approaches to Stop Hypertension) diets seems to have an effect on preventing Alzheimer’s. Scientists in the Rush Memory and Aging Project developed the so-called MIND diet and saw a 53 percent lower risk for Alzheimer's in the group tested. Even those who followed the diet only "moderately well" saw their Alzheimer's risk drop by roughly 35 percent. The MIND diet emphasizes healthy grains, vegetables, beans, poultry and fish—stressing the importance of plant-based foods such as green leafy vegetables and blueberries—with a limited amount of less-healthy red meat, butter and sweets. Compared to the Mediterranean and DASH diets, the MIND diet puts less emphasis on consumption of fruit, fish, dairy and potatoes. The study analyzed food questionnaires completed by more than 900 men and women between 58 and 98 years old, all enrolled in the Rush project in Chicago. Completed between 2004 and 2013, the surveys quantified respondents’ intake of 144 food items the prior year with no dietary intervention. Participants were then tracked for an average of four to five years, during which time they underwent repetitive neuropsychological testing. Out of 923 adults, 144 developed Alzheimer's during that time. Those whose food consumption conformed to the MIND diet were much less likely to develop the progressive brain disorder. “This was the first study of how diet might affect a person’s risk of getting Alzheimer’s,” said study author Martha Clare Morris, a nutritional epidemiologist at the Rush University Medical Center and the Rush Alzheimer's Disease Center in Chicago. Morris added that more research is needed to verify the study results. P. Murali Doraiswamy, director of the neurocognitive disorders program at Duke University and coauthor of The Alzheimer's Action Plan, recommends exercising mind and body to ward off Alzheimer’s. Research shows that walking is as good as running, since it enhances blood supply in the memory centers. Brain stimulation works, too. Many types of brain-stimulation devices are being tested not only to treat and prevent Alzheimer's but also to improve cognition in people without dementia. Some of these devices are implanted into the brain, and some are worn externally like a headband. Mental decline as you age appears to be largely due to altered connections among brain cells. But research has found that keeping the brain active seems to increase its vitality and may build its reserves of brain cells and connections. You could even generate new brain cells. Scientists have found that low education levels are related to a higher risk of Alzheimer’s later in life, perhaps because of a lower level of lifelong mental stimulation, reports the Alzheimer’s Association. Put another way, higher education levels appear to protect against Alzheimer’s, possibly because brain cells and their connections are stronger. Well-educated individuals can still get Alzheimer’s, but symptoms may appear later because of this protective effect. Researchers in Australia are testing ultrasound on mice to eliminate plaque buildup in the brain that's associated with Alzheimer's disease, reports HealthDay News. The experimental study is still in the "very preliminary" stage. The ultrasound treatment targets amyloid plaque, a material scientists believe clogs the brain and is linked to the development of Alzheimer's disease. The study’s lead author, Gerhard Leinenga, a graduate student at the University of Queensland in Australia, says it’s uncertain if the approach is feasible for humans, but the research is promising. "The mice performed better on three tests of their memory," he said, noting their performance was similar to that of healthy mice used as controls. "We know that amyloid interferes with the function of neurons and causes brain cells to die, but not everyone with amyloid in their brain will go on to develop Alzheimer's or another dementia," said James Hendrix, director of global science initiatives for the Alzheimer's Association. The study appeared in the March 11, 2015 edition of Science Translational Medicine. We often hear that “sunshine vitamin D” is good for us, but it also may reduce Alzheimer’s risk. A new study published in the journal Neurology found that older adults who are severely deficient in Vitamin D have a 122 percent increased risk of developing Alzheimer’s. The study leader, Dr. David Llewellyn at the University of Exeter Medical School, explains, “the association was twice as strong as we anticipated.” Adults who were moderately deficient in vitamin D had a 53 percent increased risk of developing dementia of any kind. Those who were severely deficient had 125 percent increased risk. The study observed 1,658 adults older than 65 over a six-year period, reports Next Avenue. When exposed to sunlight, our skin converts the rays into vitamin D. Because older adults’ skin may be less efficient at this, it’s important to have your vitamin D levels tested and to perhaps take a supplement. Testing is especially important for people living in northern climates, where exposure to winter sunlight is limited. For better absorption, take vitamin D supplements with a meal containing healthy fat. Certain oily fish and mushrooms also contain vitamin D.
New Treatments for Preventing Alzheimer’s was featured in the November 2015 Senior Spirit Newsletter.